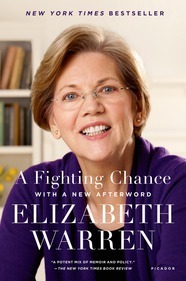 The inspiring story of the two-decade journey that taught Warren how Washington really works—and really doesn’t. 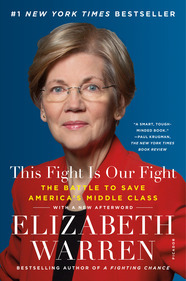 A passionate, inspiring book about why our middle class is under siege and how we can win the fight to save it. Bestselling authors Bill O’Reilly and Bruce Feirstein team up to make their case about the looming confrontation over values: Old School (“which values the country’s time-tested, can-do spirit and principles”) vs Snowflake (“vehemently anti-tradition as they whine about ‘safe spaces’ and ‘trigger warnings’”). The fiery U.S. Senator from Massachusetts (#ShePersisted!) and bestselling author offers a passionate, inspiring book about why our middle class is under siege and how we can win the fight to save it. Ohio Governor John Kasich answers the burning question of our time: “Where do we go from here?” Do we head down the right path…or the garden path? From the fastest-growing private Facebook group in history—now with nearly 4 million engaged and impassioned members—a beautifully designed 4-color inspiring collection of stories and photographs that capture what it means to live, work, struggle, love, and celebrate in our world. Nebraska Senator Ben Sasse diagnoses the causes of a generation that can’t grow up and offers a path for raising children to become active and engaged citizens. He identifies core formative experiences that all young people should pursue: hard work to appreciate the benefits of labor, travel to understand deprivation and want, the power of reading, the importance of nurturing your body—and explains how parents can encourage them. From the New York Times bestselling author of WAKE UP AMERICA and Fox News cohost of “The Five” comes a lively, provocative history of Washington, DC political scandal. Bolling also offers a series of recommendations for President Trump: practical, hard-headed, and concise ways to drain the swamp and force Washington to be more transparent, more accountable, and more effective in how it serves those who have elected its politicians and pay the bills for their decisions. The gripping true story of how a father rescued his son from ISIS, and his continued efforts to help other families do the same.